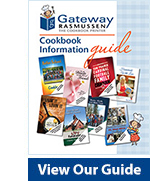 Thank you for considering doing a Cookbook with Gateway Rasmussen as a ‘For Profit’ item / Customer Appreciation gift or Corporate Fundraising Project for your business! 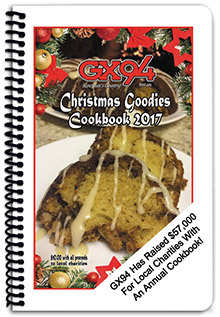 We have helped thousands of individuals and businesses throughout North America put together a cookbook that they either sell for profit/ use as a customer appreciation gift or sell to raise funds for the charity of their choice. 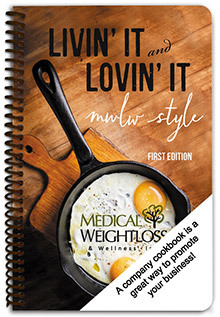 We have included front covers from actual companies and individuals – just like you – to show you how a cookbook can be used to promote your business, be sold for profit, or be used as a company/staff fundraising effort. 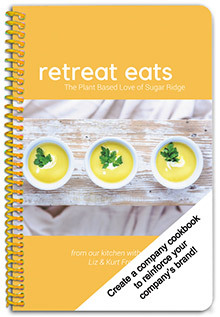 A cookbook encourages employee involvement. 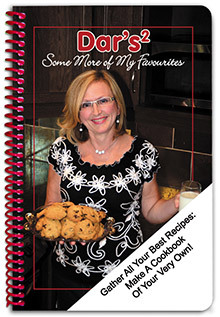 It provides an actual in-hand keepsake to give to your customers / supporters. 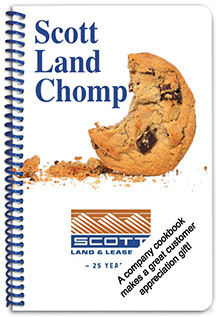 It’s a great way to reinforce your company’s brand. 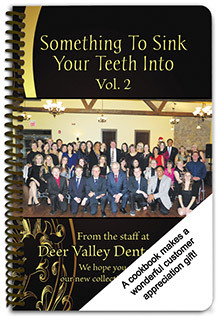 Include a photo of you / your staff & management. Use your introduction pages to include a message from you / your company President. Dedicate the project to someone/something important to you. Share your company’s mission statement. Include your complete contact information. Explain your fundraising Cause – if applicable. The ideas are endless. We are here to help you – every step of the way – with over 50 years of experience in helping corporations and small businesses achieve their goals!